The hours of the Tiger: 3am – 5am. 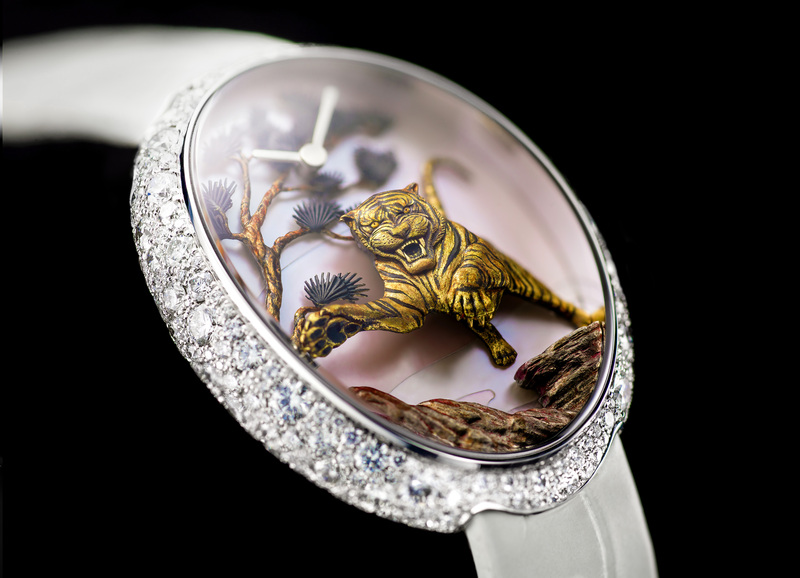 In the wee hours of the night, VAN’T HOFF invites you to discover “Time of the Tiger”, a remarkable single edition ladies’ watch. The tiger, not the lion, in Chinese tradition, is considered the King of all beasts. Dare you question his fierceness, strength and courage? The magic and talent of the engraver’s hand brings this imposing wild cat, leaping mightily, to life. 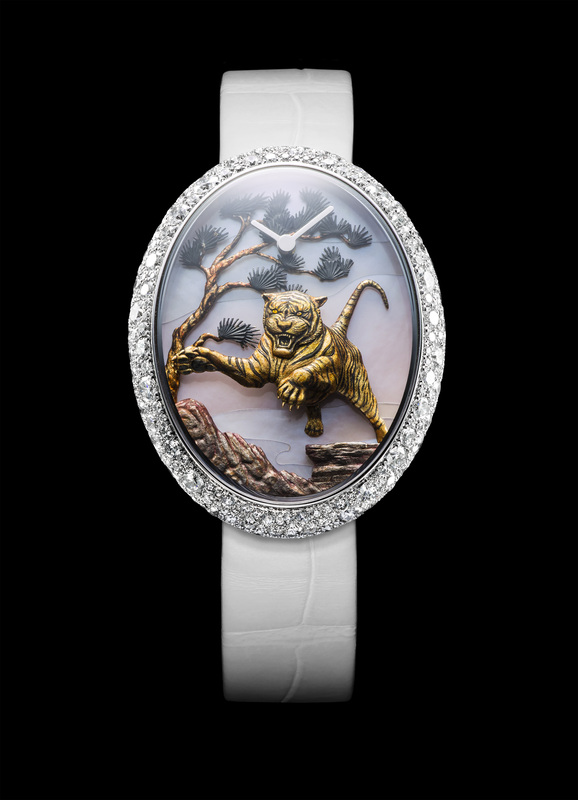 True precision and expertise are needed to successfully create this three-dimensional scene, where the Tiger, carved of yellow gold, emerges from beneath a tree of rose gold, soaring above rocks of white gold. The gold elements are darkened in the oven and enhanced by hand with translucent laquer. The watch face is made of a delicate base of mother-of-pearl marquetry inspired by Japanese print clouds. Skillfully set diamonds grace the case to complete this splendid timepiece. Do you have the audacity to wear this? Tell us what is your zodiac animal! We have more miniature worlds waiting for your discovery. Make your appointment to view your animal.